Now that you know where we’ve been, let’s tackle where you’re going. In this lesson, you will learn how to identify the many different types of notes on the market, choose the specific type(s) of assets you will focus on for your first purchase and highlight some of the main strategies investors use in today’s market. As you read through the considerations below, think in terms of the ideal investment for your personal situation. Your strategy is just as much about your self-awareness as it is about your financial situation and goals. Choosing what type of assets you’ll purchase and the approach you take is based on your time availability, tolerance for occasional (or often!) headaches and your abilities as a negotiator, problem solver or number cruncher. There’s no need to choose just one investment strategy, and your balance can be adjusted on a deal-by-deal basis. The most important factor when deciding what type of loan to purchase is whether or not you want to put in the work to resolving a non-performing loan. If you have more money than time, starting your note investing career with one or more cash-flowing loans is highly recommended. Re-performing loans offer returns of ~10-20% and the heavy lifting has already been done for you. Many investors choose to liquidate their performing loans to recapitalize and buy more non-performing loans to repeat the cycle. There is an ample supply of cash-flowing notes secured by quality real estate available for your consideration. Senior and junior liens (1st and 2nd position mortgage notes) are one of the main criteria that investors look at when deciding on their first note purchase. In reality, this classification is the least important of the four. There really isn’t much of a difference between the two, both have the same ability to foreclose and when due diligence is conducted properly, there is a fair exchange of risk to reward for being in first position versus second. Let’s start by looking at senior liens. As a more priority debt, senior liens are typically priced higher. Loan sellers base pricing on the value of the underlying collateral – the property value. Due diligence is more involved and expensive when analyzing senior liens, ordering a title report is necessary to confirm that the lien is indeed in priority position. Furthermore, making a call (or researching online) to determine the balance of any past due taxes is critical. On the flip side, junior liens offer more for your money. They are priced based on a percentage of the principal balance not including interest and late fees (about 30% of the UPB on average for a decent quality asset). Paying for title reports, BPOs and tax information isn’t as often necessary in due diligence (saving ~$200 per asset in research expense). When investing in junior liens, the most critical factor is the status and balance of any senior liens (found on the borrower’s credit report). Even if there is negative equity (the value of the senior + junior is greater than the property value) a current status (borrower is making payments) for the senior is a strong indicator of the borrower’s intentions for the property. Furthermore, 90%+ of senior lien servicing companies escrow taxes + insurance for their borrowers. In other words, if the senior is current, chances are good that the property is insured with no delinquent taxes. Even in situations where the senior lien status is unknown or delinquent, second liens still offer a very attractive risk/reward proposition. Note buyer with the same amount of invested capital can diversify into many more assets when choosing 2nds over 1st liens. Choosing whether to focus on a specific geography versus looking nationwide for mortgage notes is purely a function of your ambition and personal goals. Nationwide buyers typically get the best deals by buying blended bulk portfolios but they need to understand more local markets and build a network of attorneys and other vendors across the country. For the most part, it is easier to develop into a nationwide second lien investor than a nationwide senior lien buyer. When choosing specific areas to invest in, the first thing to consider is your local market or more broadly, your home state. Although note investing is typically done without ever visiting the subject property yourself, it is always advantageous to have “boots on the ground”. A big advantage of working in a specific area is the ability to focus on learning the nuances of the local process and build stronger relationships with a few great realtors & attorneys. As you gain a tolerance for risk, taking on mobile home or vacant land secured notes may be of interest but when you’re just getting started, it makes sense to focus on higher quality properties in the form of single family or multi-family dwellings. Working “in the field” is the hands-on labor to make repairs, handle tenant turnovers and showing up at the property when needed. Office work is finding new opportunities, negotiating deals and staying organized. In the age of the internet, our “office” is essentially anywhere you have your laptop & wifi. Note investing is interesting because the work required is disproportionately focused on work from your computer or phone. Read on to see the similarities and differences between the most common types of traditional real estate investing versus note investing strategies. A lot of upfront work to find & negotiate a great deal. Make quality repairs and find the best tenants and this is a long term strategy that can produce nearly passive income for investors. Depending on the quality of the rental you purchase and the ability of your contractors (if you’re outsourcing upkeep of the home), you can build a rental property business with very little work “in the field” but without scale, doing the dirty work yourself is the best way to ensure you’re profitable. A home is certainly an asset but the issues you’ll need to handle can sometimes make you feel like you’ve got a major liability on your hands. This strategy is all about turning deals over. There is no passive income as you’ll need to move from deal to deal. A solid, office routine is key if you want to generate consistent leads and maintain contact with your network. Some have done it but more have been tremendously burned attempting this business without an active present on the job site. For a passive investor, this is the ideal strategy if you are limited on time but have the capital to invest. It’s not necessary to physically visit your properties and there’s a relatively small amount of upfront work necessary to purchase a note (we’ll focus on that in the Due Diligence section of this guide). Buying a performing note is like buying a rental property with a permanent tenant that never needs any maintenance. The only downside, you stop receiving payments after the loan has been paid off (typically 10+ years). Although more time intensive than buying and holding cash-flowing assets, flipping non-performing notes that you have “rehabbed” into re-performing is much less time consuming then rehabbing physical real estate and the returns are often significantly higher. As with any note investing strategies, there isn’t any need to leave the comfort of your “office” as virtually all of the work necessary can be completed on a laptop/cell phone. Combining the two above strategies into a “Fix & Hold” approach is another way to maximize returns for longer-term residual income. At the end of the day, note investing is a much more viable strategy for any investor who would prefer to do the majority of their work without being location dependent. Note investors have the flexibility to work on deals in all 50 states from wherever they can get online. Buying non-performing notes is a more lucrative strategy than buying loans that are already performing but depending on your personal time availability, may be more than you’re willing to commit. However – either note investing strategy is much less time-intensive than real estate investing. Buying and working out one or two non-performing loans on the side of a full-time job is very possible and as you read through the rest of this guide, you will gain a better idea of the time commitment required to be successful in this business. We’ve covered the various types of loans to purchase and the high-level strategies employed to profitably invest. Now, let’s figure out where to find loans for sale and how to determine whether or not you’re working with a legitimate loan seller! Thank you for the kind words, I only have good things to say about Mike Ruscica. Why did you post his URL, are you working with him? I always wondered why would people considered 2nd lien with the risk of not getting paid if the 1st lien foreclosed. But, as I read on, it is starting to make sense. 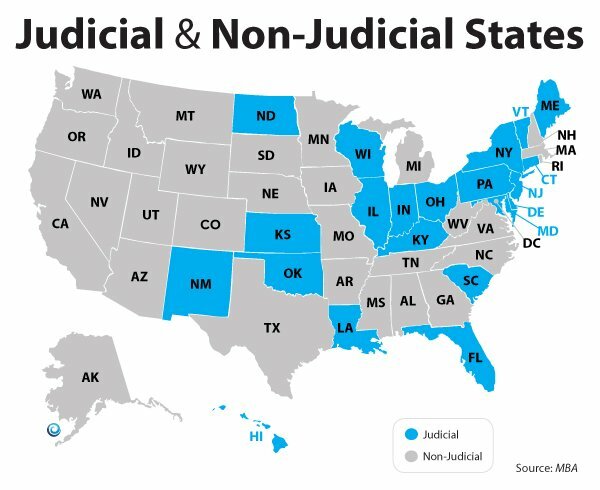 I also loved that you’ve included the judicial and non-judicial states in here. I am so excited to learn more.